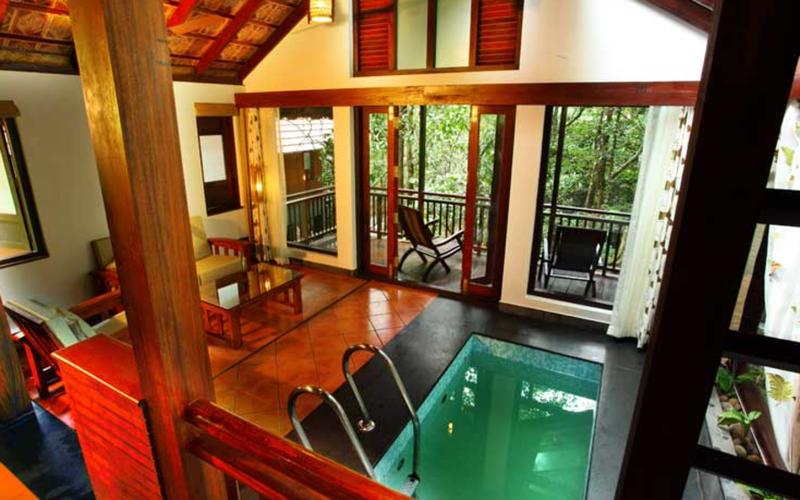 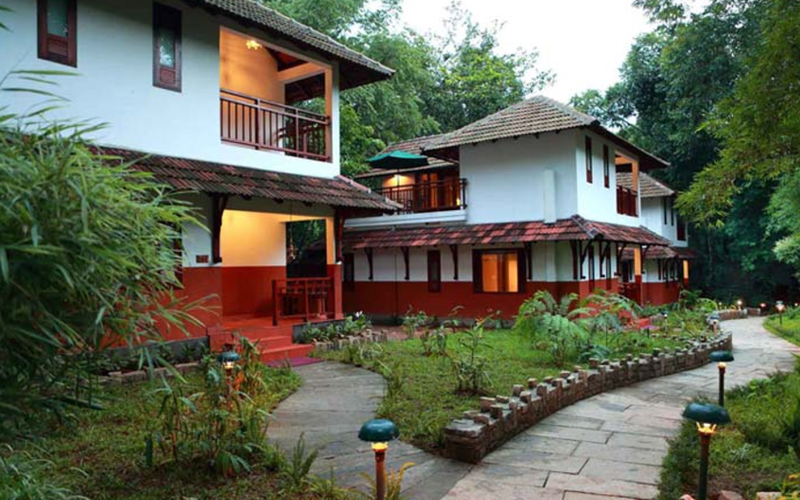 Vythiri Resort, in the heart of the picturesque Wayanad district, 2,600 feet above sea level is set amidst lush tropical rain forests and provides an escape into the lap of nature. 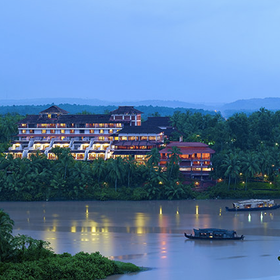 You will leave the main road to travel to the resort, driving through scenic plantations and thick woods before you arrive at your destination. 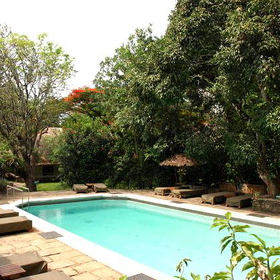 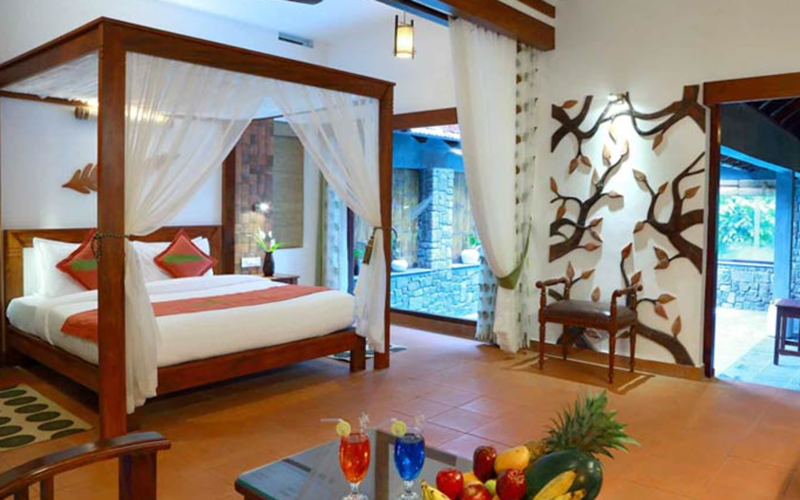 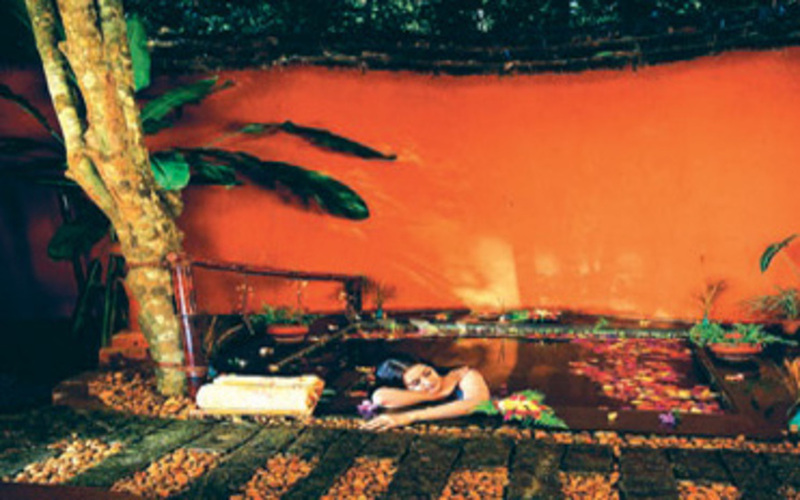 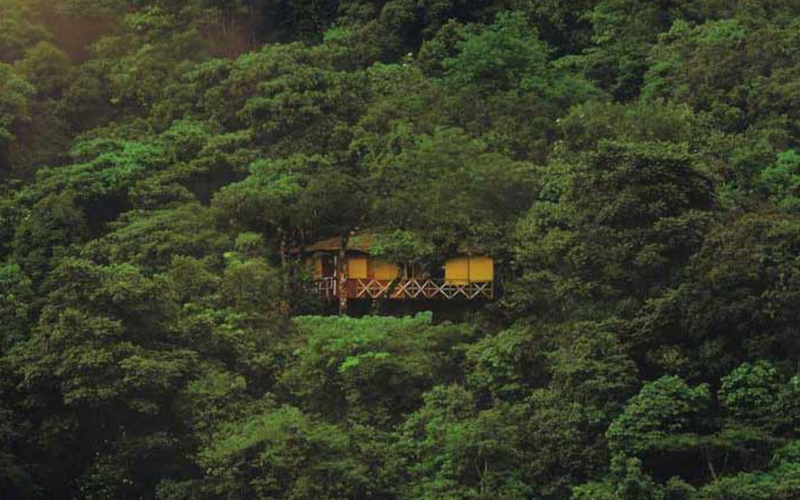 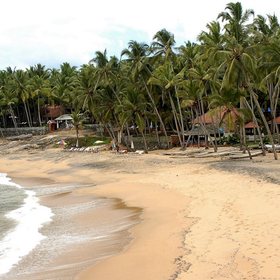 The resort is camouflaged in such a way that it blends perfectly with the natural surroundings. 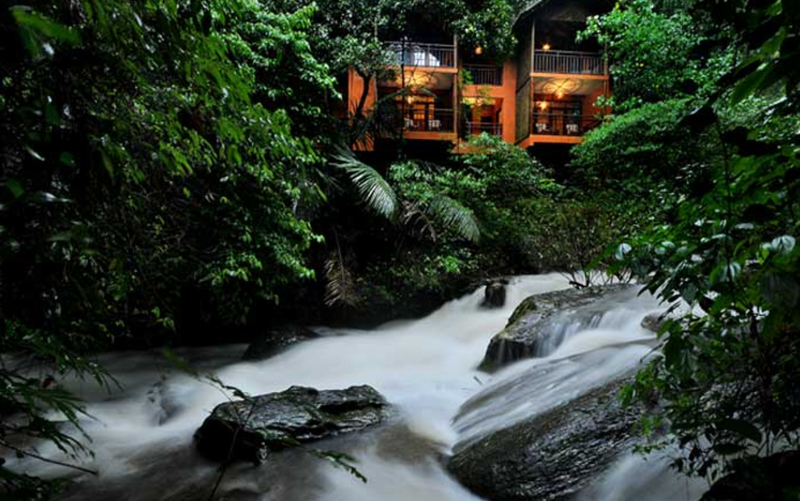 Located right in the middle of the rainforests, you will wake up to the chirping of birds and the gurgling and tinkling of streams meandering around your cottages. 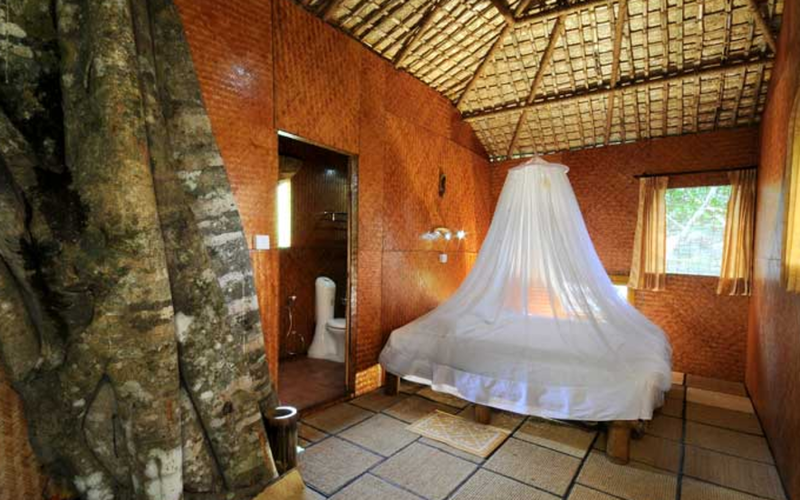 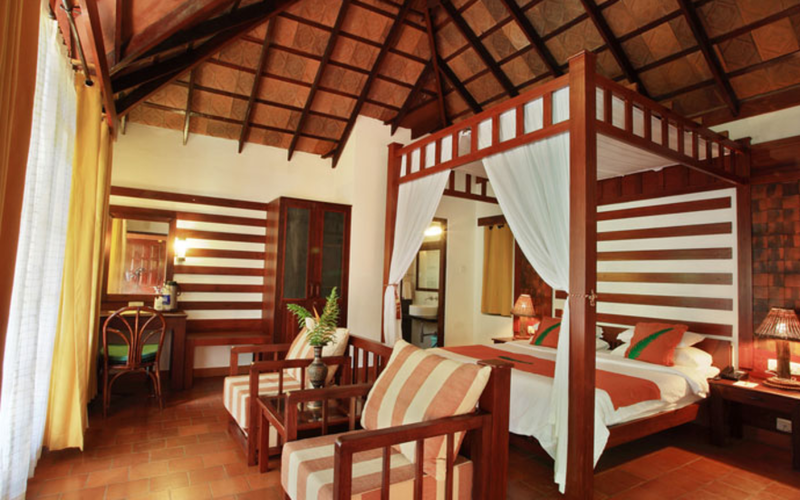 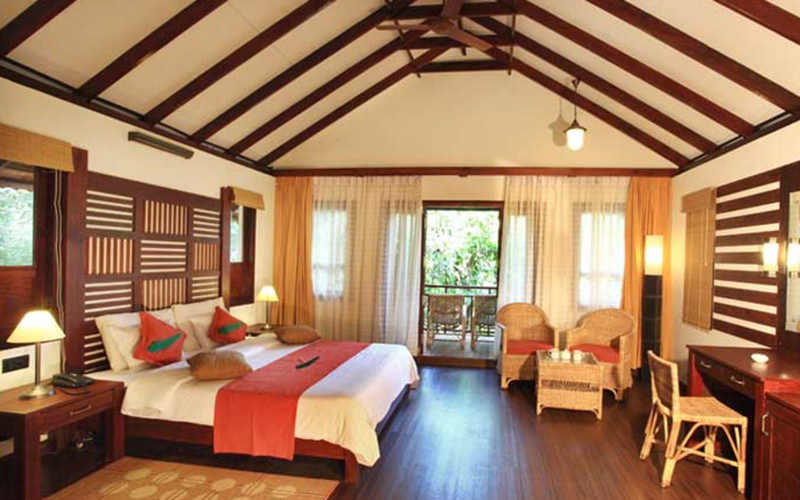 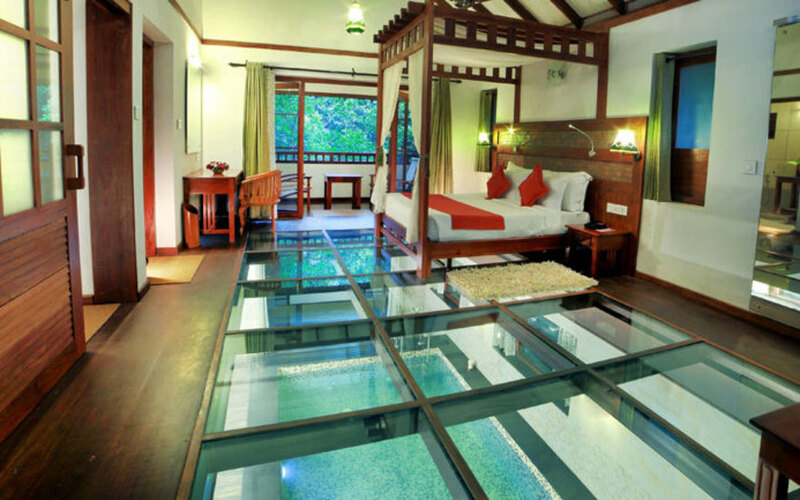 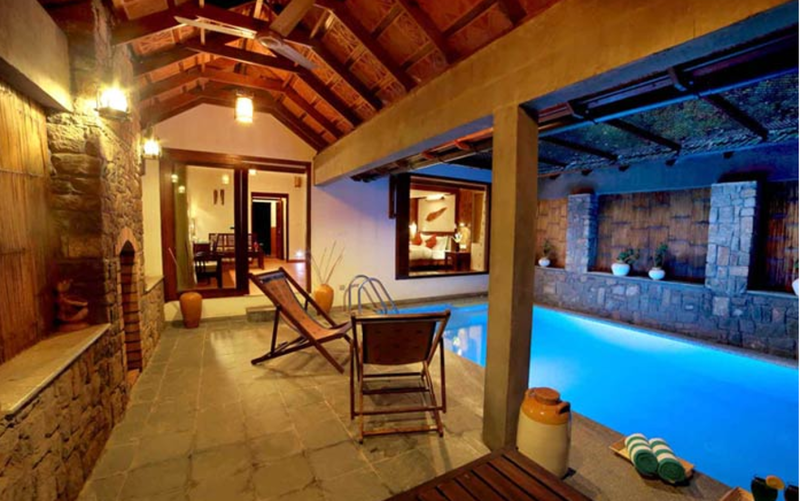 The accommodation is built in the style of tribal cottages and spread across the entire estate. 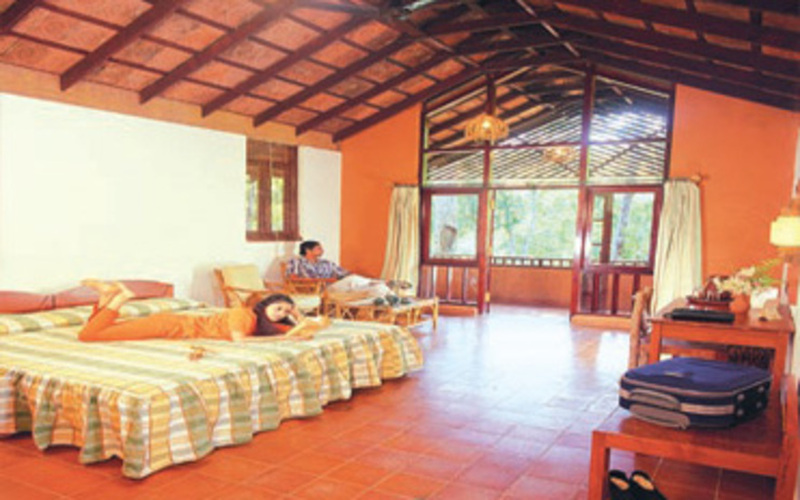 The resort location is strategically placed to offer a variety of activities like trekking, mountain climbing and bird watching. 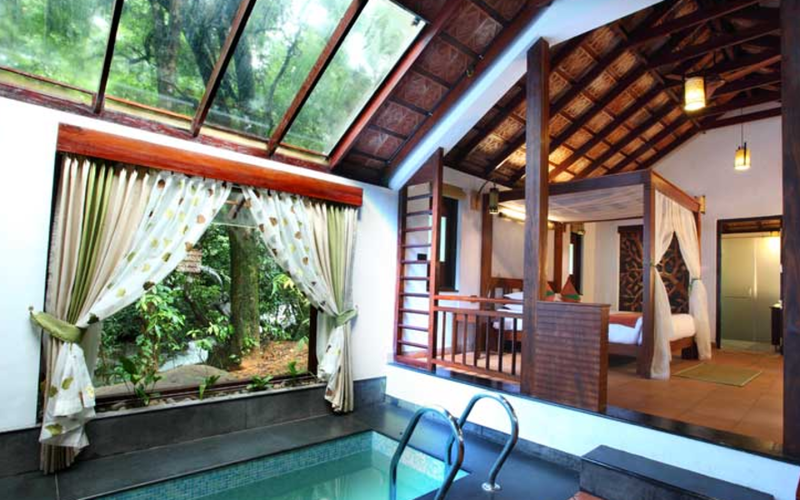 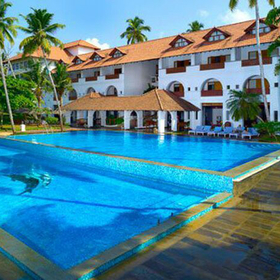 Swimming pool, conference hall, Ayurveda centre, spa, children's area health club. 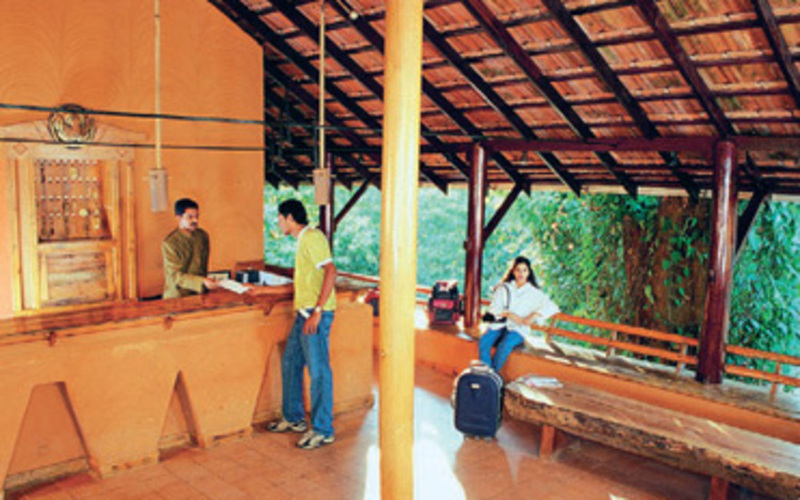 Multi cuisine buffet-style restaurant offering Indian and continental cuisine, Coffee Shop. 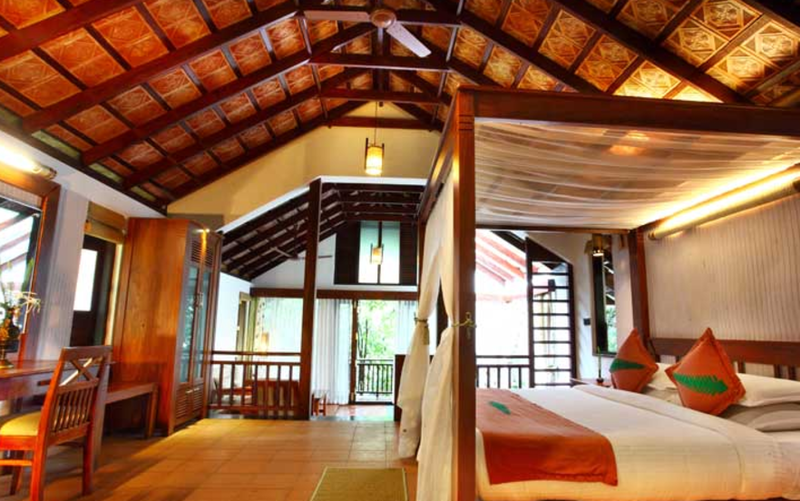 6 Paadi rooms styled like planter's cottages, 18 stream-facing Kudeeram cottages, 4 spacious stream-facing cottages with a balcony.